Canadian-based cloud storage - view and share files with your clients online on the go! 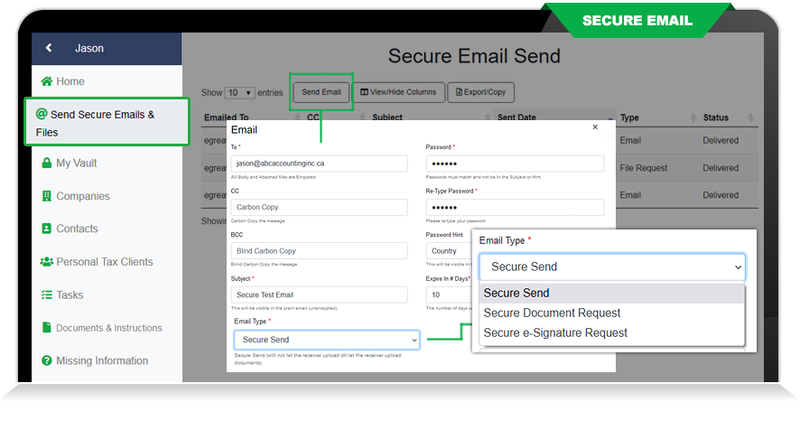 Easily & securely SEND an email and file(s) to any email address without your recipient needing to log into any accounts. It's as simple as sending an eTransfer...your recipient receives the email, clicks a button, types their password via a password hint and they are done! Your recipient receives the email, clicks a button, types their password via a password hint and then uploads the files you have requested in the email notes...it's that easy! BACKUP & STORE all of your own files into your 'My Vault' which comes as part of the Client Track Portal. All uploaded files are securely encrypted with banking level encryption so the only person who can open and view your files is you by logging into your own account. 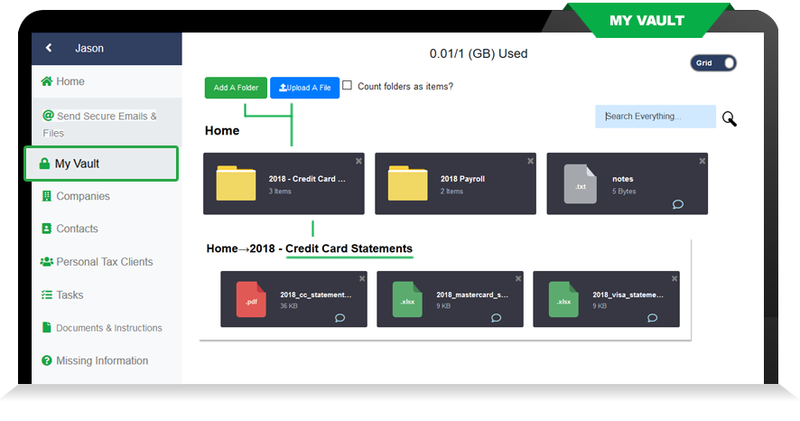 Client Track Portal automatically creates a Virtual Filing Cabinet for each of your clients where both you and the respective client can upload and share files in a shared Virtual Filing Cabinet. The client can log in and get access to all of the historical finished accounting work you have ever done for them as well as upload all the new files you need to to do their regular accounting and bookkeeping. 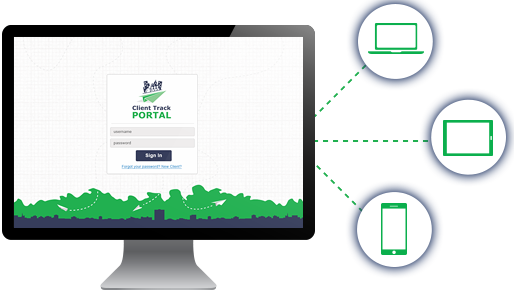 Client Track Portal works with our Client Track Desktop software that allows you to access your clients' information online via browser or smartphone. 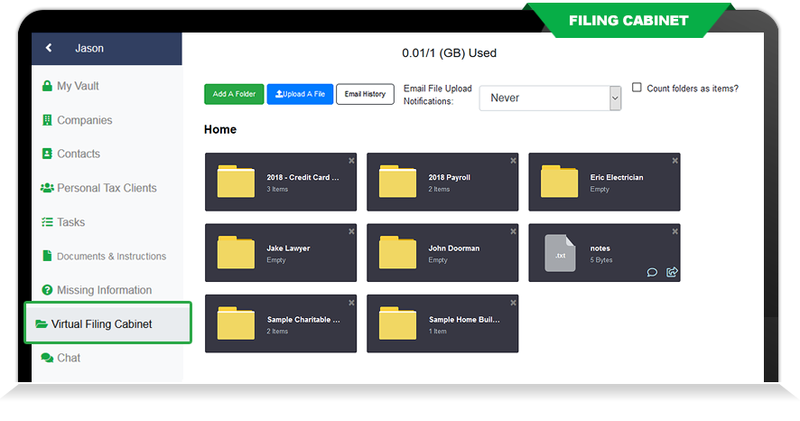 Your clients can login to view their own tasks and upload the files you need. Client Track allows you to list all the required documents you need from each client and their respective deadlines. In addition, you can provide instructions relating to document. After listing the required documents in Client Track, you then email the client with a deadline date that they must meet to give you the documents you need. Track which documents you need from your clients and indicate what has been received; whether the client walks in the front door with paperwork or uploads the documents themselves online. Can sync your calendar events, tasks, appointments and more with Google/G Suite calendar. 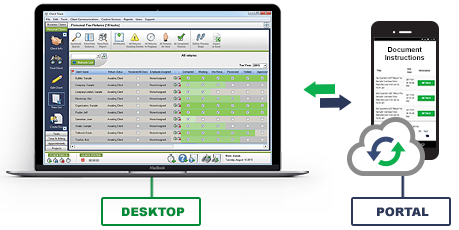 Client can log in at their convenience to view their own tasks and and upload the files you need! Feel secure knowing that your clients’ information is encrypted and stored in Canada. 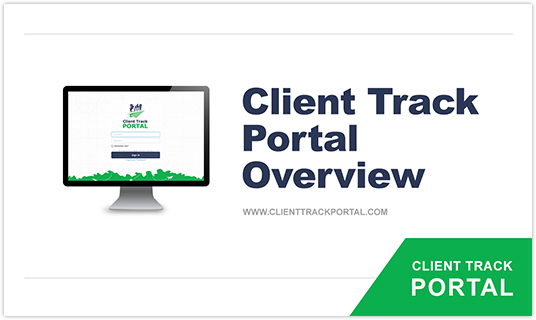 The video shows a quick overview of the key features within the Client Track Portal; a great add-on that works with your Client Track Desktop. 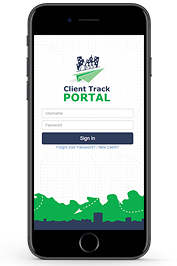 We also offer a Client Track Portal app for your phone and tablet to make it much more convenient for you! The app is compatible with Android devices and available for download for FREE on Google Play.